Turkmenistan Travel Photography Gallery : photos, photographs, pictures and images of Turkmenistan For travel information on Turkmenistan hotels, tours and flights see the Ashgabat and Turkmenistan Travel Guide. 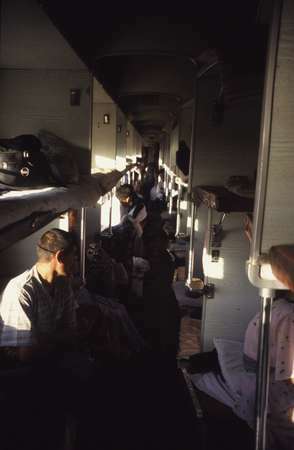 Photo of Turkmenistan, sleeping carriage in the train from Ashgabat to Turkmenbashi. It turned out that this 12 hours of suffering (due to local KGB checking my passport the whole night) costed more than the 1.5 $ flight which I took to return.